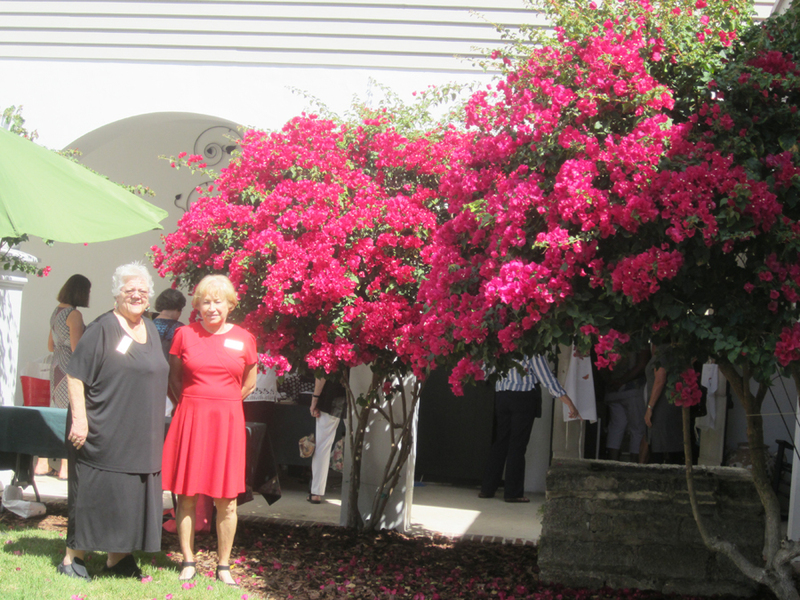 Margo Pope, left, a past Exchange president, and Judy Reigle, current president, stand beside a hot pink bougainvillea which thrives in the gardens of the Pena-Peck House on St. George Street. Q I have a bougainvillea with stems 12 to 15 feet tall. When do I prune them? Bougainvillea tend to go into bloom in the fall. They should be pruned in spring to remove winter damage and anytime in the summer when growth is too aggressive. Q What are some plants that I can have to attract butterflies? A Penta, butterfly bush, butterfly milkweed, salvias, lantana, azalea, cassia and many herbs when flowering are ideal. Q What are some varieties of flowering ground covers I can plant in a sunny area? Q I have an angel’s trumpet. I was told the plant is poisonous. How harmful is it? A Children are the most frequently affected by this plant. They pick the flowers and put them to their lips like a trumpet. This is how poisoning occurs. The plant has a hallucinogenic and every few years you will hear that some teenagers have experimented and gotten poisoned. Unless young people are around, the plant is of little concern.